Abiraterone, also known as Zytiga, is a hormone therapy. Unlike chemotherapy which kills the cancerous cells, it stops more testosterone from reaching the prostate gland to stifle the tumour’s growth. The trial involved almost 2,000 patients. Half the men were treated with hormone therapy while the other half received hormone therapy and abiraterone. Of the 1,917 men in the trial, there were 184 deaths in the combination group compared with 262 in those given hormone therapy alone. Each year around 46,500 men are diagnosed with prostate cancer in the UK, and around 11,000 men die from the disease. The results of the trial were presented at the 2017 ASCO Annual Meeting in Chicago and published in the New England Journal of Medicine on Saturday. 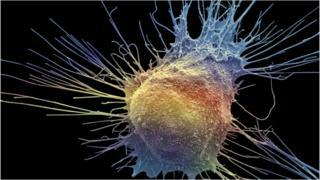 The Institute of Cancer Research also “strongly welcomed” the new findings. Prof Johann de Bono said they showed that when used at the start of treatment, abiraterone had “clear benefits for patients”. In March, patients with prostate cancer in England were told they could have early access to abiraterone. The National Institute for Health and Care Excellence (NICE) previously said the treatment was not cost-effective for the NHS until cancers were more advanced. Prof Paul Workman, chief executive of the Institute of Cancer Research, said he was keen to now see abiraterone reassessed by NICE for use in patients “as early as possible”.